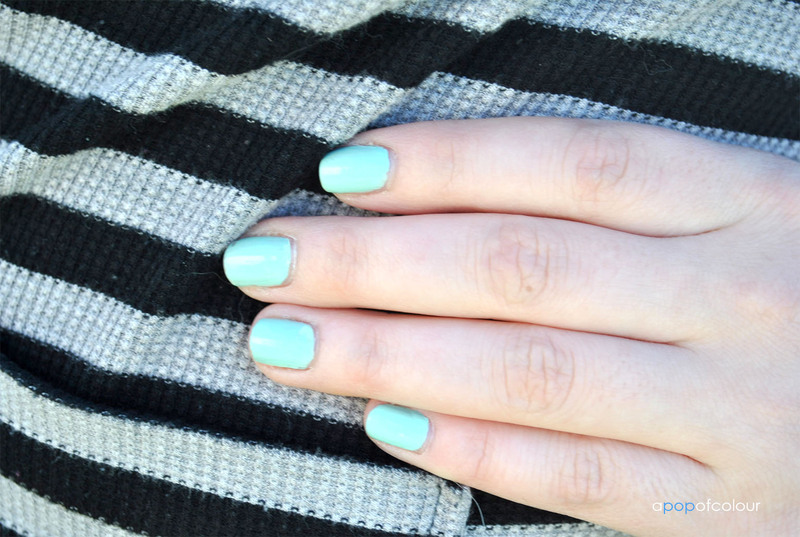 Pastel paradise: My top spring nail polish picks! Although it’s still cold and white outside where I live, I can pretend it’s warm by sporting some spring shades on my nails. For me, this spring is all about pastels, in particular, blue, greens, and pinks. I took a look at my collection and picked out the colours that screamed spring to me and they are all delicate shades in the same colour families. 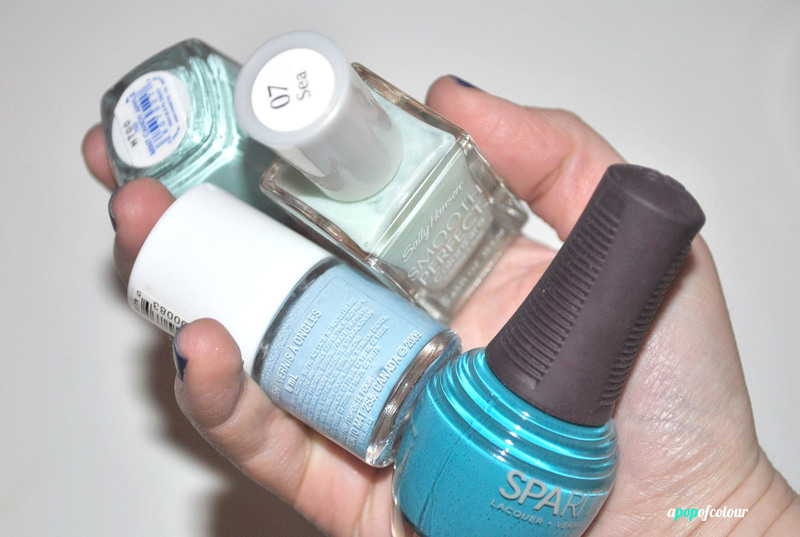 From L to R: SpaRitual Indigo, Sally Hansen Smooth & Perfect in Sea, Essie Mint Candy Apple, Joe Fresh Powder Blue. From L to R: Essie Cascade Cool, OPI You’re Such a Budapest!, OPI Mod About You. What are your top nail polish picks for spring? 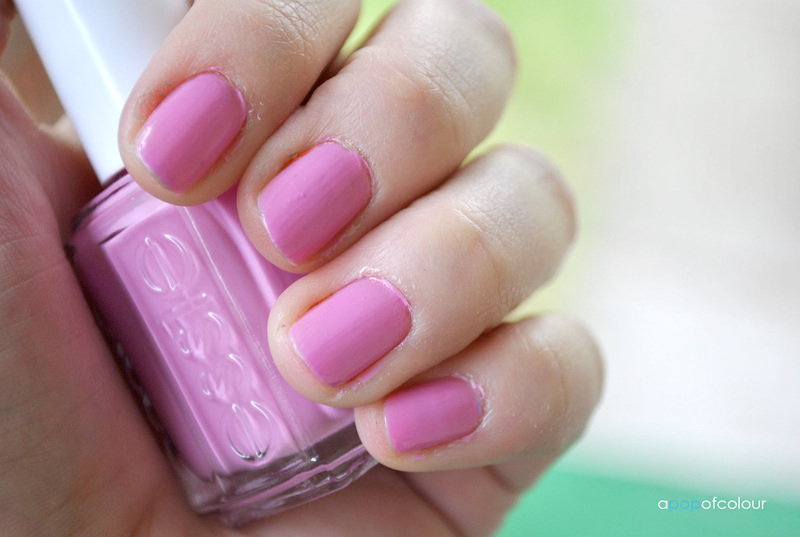 Tags: 2013 nail polish trends, Cascade Cool, Easter, essie, Indigo, Joe Fresh nail polish, Mint Candy Apple, Mod About You, nail polish, OPI, pastels, SpaRitual, spring, Suzi's Hungary AGAIN!